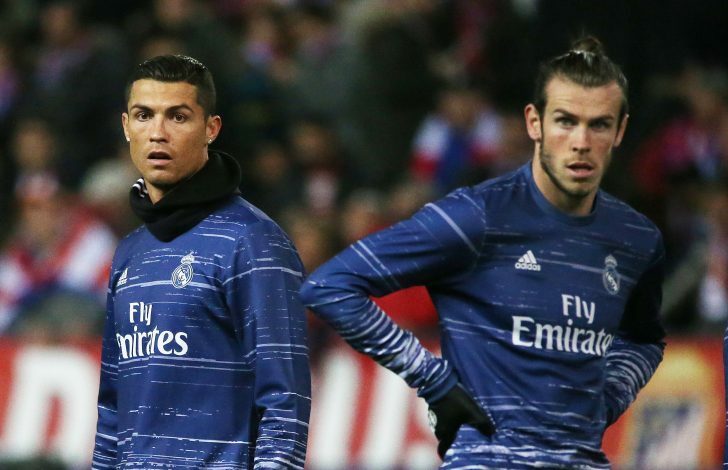 If reports from notorious Spanish outlet Don Balon are to be believed, Manchester United and Chelsea are set to battle it out for Gareth Bale, and not Antoine Griezmann, with clubs preparing to bid a whopping £172 million for the Real Madrid man. Bale has been an ex-Premier League player, after playing for Tottenham until the year 2013, following which he made his big money move to the Santiago Bernabeu. Going to Madrid has only made the player bigger and better with each season, and hence, he has forever been linked with a big money move back to England. Bale is currently earning a staggering £350,000 per week at Real Madrid, and is in the second year of a newly signed 5-year contract. But despite this, the two giant English clubs seem keen on bringing him back to the Premier League. Manchester United have wanted Gareth Bale since his days at the Southampton academy, but they lost out to Spurs in 2007, and were again defeated by Madrid in getting their man in 2013 while Moyes was in charge. The Red Devils and their business heads still believe a deal can be struck, however, despite the fact that the Welsh international is happy at his current club in Spain, but one of the factors that could see him leave would be him consistently being outshined by superstar Cristiano Ronaldo. Seeing recent spendings by the league’s big clubs, it will not be surprising to see such amounts being spent to get Bale to England, and with the skill he possesses, it might be worth every dime.